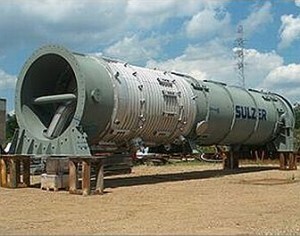 Bioplastics supplier NatureWorks LLC and Sulzer’s division Sulzer Chemtech recently announced that Sulzer has shipped proprietary production equipment to NatureWorks’ Blair facility that will increase the production of Ingeo at the site by 10,000 metric tons per annum. Commissioning of the installed new equipment is expected in the first quarter of 2013 with capacity increases and new products becoming available in the second quarter. According to their statement, production capacity will rise from 140,000 metric tons to 150,000 metric tons annually. The expansion will also enable NatureWorks to produce new, high performance resins and lactides. “NatureWorks has an extensive patent portfolio, which includes intellectual property around lactides, polymer and product applications,” explained Bill Suehr, NatureWorks’ Chief Operating Officer. “This project has been a natural marriage of each company’s assets, focused on a subset of NatureWorks’ patented process technology to bring both new capacity and new products to the market.” “Sulzer has a wide range of innovative technologies applicable for lactide purification. In support of NatureWorks’ team, we optimized one of these technologies with the goal to expand the Ingeo product portfolio. With the new technology, NatureWorks will be introducing new high performance Ingeo resin grades, 3100HP and 3260HP in the injection molding and fibers arenas. As said, they are designed for use in medium and high flow nucleated formulations to provide balance of mechanical and thermal properties, while delivering up to 75% cycle time savings over formulations based on current Ingeo grades. Heat distortion temperatures at 66psig are expected to be 15°C higher than what is achievable today. Fibers and nonwoven products made from the new Ingeo grades 6260D and 6100D will have reduced shrinkage and better dimensional stability. NatureWorks says it will be the world’s first and only company to offer commercial quantities of a high purity, polymer grade lactide rich in the stereoisomer meso-lactide. Identified as Ingeo M700 lactide, this new material will be used as an intermediate for copolymers, amorphous resins, grafted substrates, resin additives/modifiers, adhesives, coatings, elastomers, surfactants, thermosets and solvents. “Compared to these, the high-purity Ingeo M700 will be easier to process and an overall cost effective alternative to racemic, L- and D-lactides in a host of industrial applications,” said Dr. Manuel Natal, Global Segment Leader for lactide derivatives at NatureWorks.